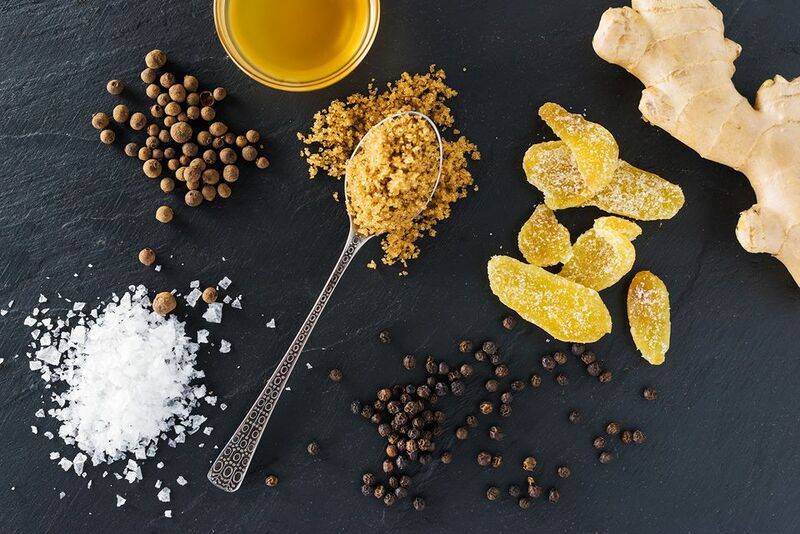 This poultry brine adds that great seasonal flavor with candied ginger and allspice. Try it on your next holiday turkey. Pour vegetable stock into a large pot over a high heat. Add salt, brown sugar, and spices. Bring to a light boil. Remove from heat and allow to cool. Pour in ice water and stir to combine. Place turkey in a large plastic container (at least 4 gallons). Pour brine over top. Refrigerate and brine for 1 hour per pound. Thoroughly rinse all the brine from the turkey before cooking. Otherwise, there will be a salty flavor to the turkey. Read more details on brining a turkey.